Positivity is important because of all the well-documented psychological, spiritual and physiological benefits that come with it. But it’s important to keep in mind that we are all products of the culture we live in and, like fish that aren’t aware of the water they swim in, we are often unconscious of ubiquitous biases we bring to our ideal for positivity — starting with the uniquely Western industrialized belief that negativity shouldn’t be tolerated, maybe even shouldn’t exist, and, at the very least, is something to be overcome as quickly as possible. What’s often missing in the positive-thought literature is the critical importance of being able to discern between using a positivity exercise to dodge negativity or using it to raise your consciousness toward greater mastery of a situation. It’s one thing to move your mind out of a slump by being grateful for even the simplest things in the room, like how much you like the color of your sofa. It’s another thing entirely to be focusing on the sofa when the house is on fire. The mastery it takes to transform negativity to positivity requires a levelheadedness that can fully embrace all present elements. From ancient Taoist teachings, to the binary codes that make up the internet, to the positive and negative charges that are needed to create an electrical spark, we know that the human condition is existentially dualistic. Where there is a front, there is a back; the bigger the front, the bigger the back. When there is light, there is dark; big, little; good and bad. Positivity is the opposite pole of negativity, meaning that positivity and negativity define a mutual spectrum of duality. 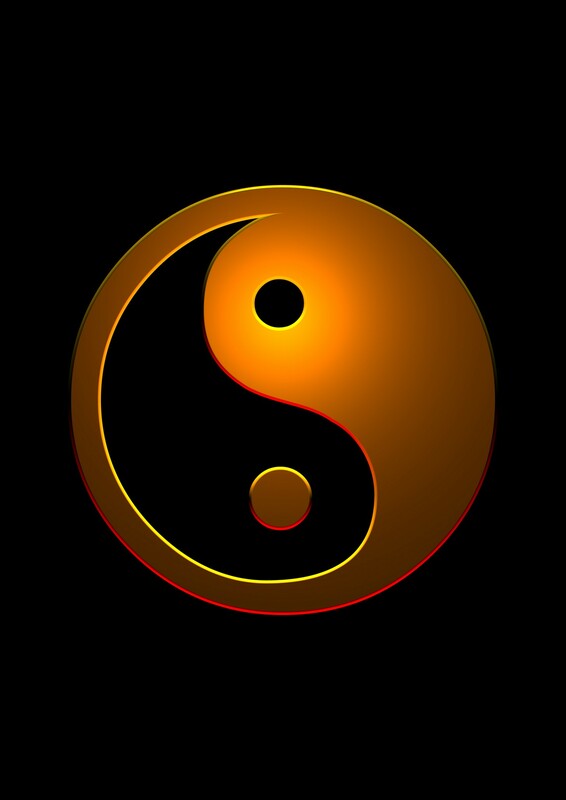 All polarities require equal and opposite distinctions. In other words, without the negative, there would be no positive. So, while it’s normal to want to experience the positive, true mastery of positivity will never happen by avoiding the negative with mind and heart tricks that help to momentarily shift attitudes and negative thoughts. That’s why so many people have such temporary results with so many self-help methods. Truly masterful leaders understand that mastery has never been gained by avoidance, but rather by facing the negative and positive with equanimity. Mastery of a given moment requires the poise and self-control to stand consciously and fully present with the inevitability of negativity. Mastery is not about controlling negativity, but rather consciously transforming negative energy. You can’t transform what you don’t face. Standing in the pain, humiliation and fear of a negative situation, without yielding to discomfort, positions you for far greater gains than you can get by bypassing the negative for the sake of a positive thought. Buddhists teach that whatever we’re pushing away, we’re attached to. For example, when you push your coffee mug away, your hand is attached to the cup and at least a part of your energy and consciousness are invested in the coffee mug. Likewise, negativity can be unconsciously invested in by working to dodge it. In my consulting work with business and non-profit leaders, the most successful ones dare to dive into the negativity they encounter in accordance with the adage that “the only way out is through.” While the most successful leaders’ eyes are on the positive, their consciousness is fully grounded in the experience they’re in because they don’t confuse optimism with positivity. Their composure in the presence of what’s so is the key to mastering the art of creating greater positivity. The more full frontal accountability there is for negativity, the greater it can be capitalized on for positive results. An ancient Chinese proverb says, “If you are patient in one moment of anger, you will escape a hundred days of sorrow.” Widening out that wisdom by defining “anger” as negative and “escaping sorrow” as positive, being patient with negativity often results in seeing options for escaping hundreds of times as much negativity. When leaders dare to embrace the discomfort of negativity, they’re often rewarded with far more positive long term results. And vice versa. When leaders dodge the emotionality of negativity, short term gains often create long term results that are full of the negativity they’ve invested in pushing against. And, most importantly, lessons are lost on how negativity can be further avoided and on how the natural desire for positivity can be applied as a powerful force for transformation. Just like trees are only strong when they grow as deeply into the dark earth as they reach into the sunshine, so must leaders understand that elevating circumstances requires plunging into some dark depths — including wrestling full on with negativities like self-doubt, worry, upset, bad circumstances, and fear. Leadership mastery develops by constantly evolving the consciousness you need to stand with equanimity in the full spectrum of your concerns because the nature of the human condition is that the cycles of negativity and positivity are never ending. The trick is not only identifying positive options, it’s also in discerning how and when to cultivate the dark roots that hold up shimmering growth.